Every year, some of the top seniors in the ACC travel throughout the southeast to face off against local all-star teams and compete in slam dunk and 3-point contests. 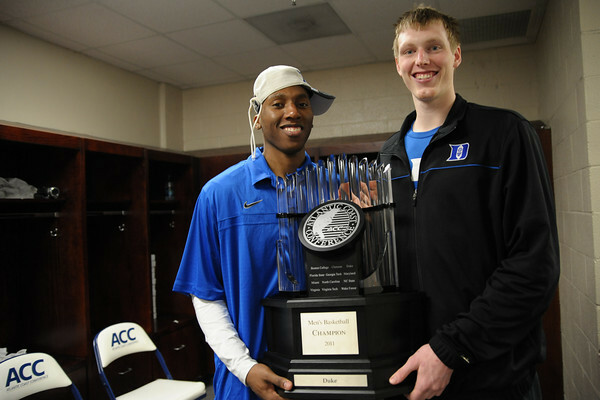 Duke’s three seniors, Kyle Singler, Nolan Smith, and Casey Peters, are all part of this year’s squad. There are still a few more stops left on their tour, so take a look at the schedule and see if they’ll be nearby. You won’t want to miss this! 2. 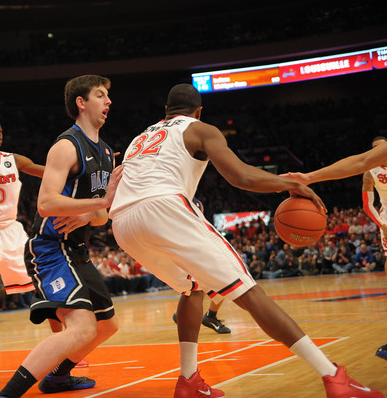 Will Duke Add DeAndre Daniels to its Class of 2011? 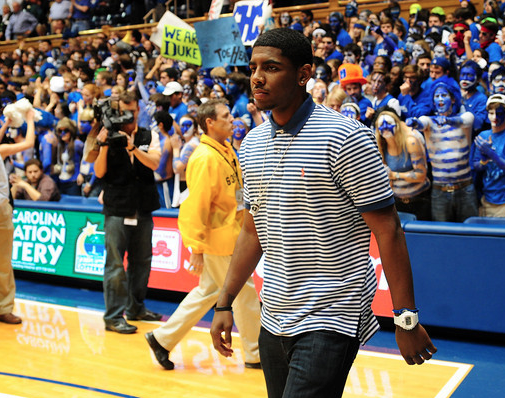 While Kyrie Irving unfortunately announced last week that he will be entering the 2011 NBA Draft, he also speculated that Duke might be adding one more phenom to its already stellar Class of 2011, DeAndre Daniels. Only time will tell if Kyrie is right. Let’s hope he is. Two future Duke freshman participated in the annual Nike Hoop Summit this past weekend and helped lead the USA squad to victory. Cook had 12 points and 3 assists, and Rivers finished with a game-high 20 points and was named MVP. We just can’t say enough on how excited we are for this incoming class. …And in other news, Bismack Biyombo is a total beast. Look for him to go high in this year’s NBA Draft. 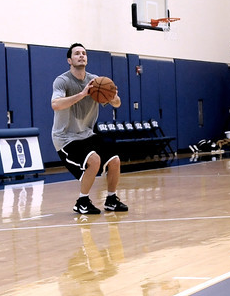 Redick has been sidelined since early March with an abdominal strain. Things are looking up though, and he looks to be back in time for the playoffs. That’s certainly good news for the Magic, who definitely miss his presence on both the offensive and defensive ends. 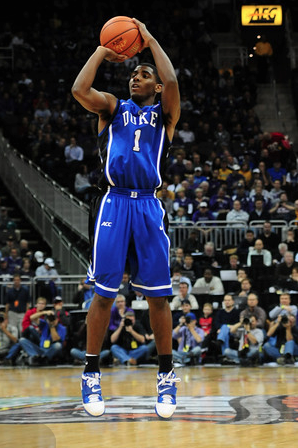 Alex Murphy and Rasheed Sulaimon are doing all they can to produce their own version of the Fab Five. They’ve been working hard to sway Shabazz Muhammad, L.J. 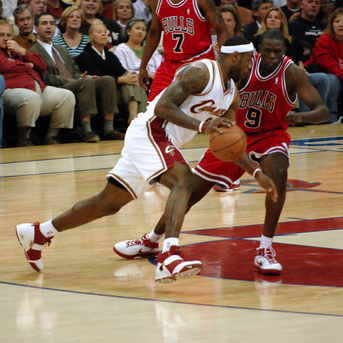 Rose, and Tony Parker to join them in Durham in the fall of 2012. Check out what Muhammad has to say about that in his latest HighSchoolHoop Diary entry. Also, be sure to take a look at some analysis of a few of these high school stars from the Nike EYBL Session #1. Last week, Mark Gottfried was named the new head coach of the N.C. State Wolfpack. 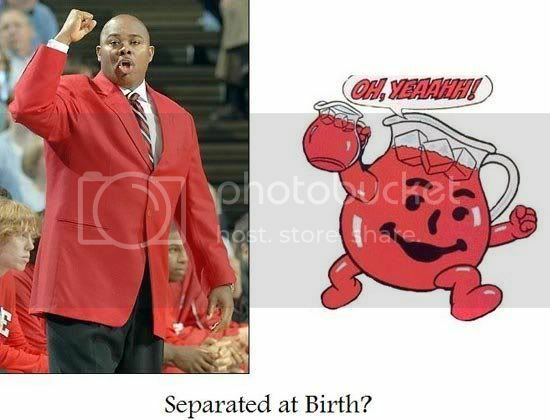 Let’s see if he has better success against his in-state rivals than Kool-Aid Man did. That’s it for this week’s edition of Deviled Eggs. Hope you enjoyed them! Be on the lookout for the latest offseason news here at Crazie Talk! 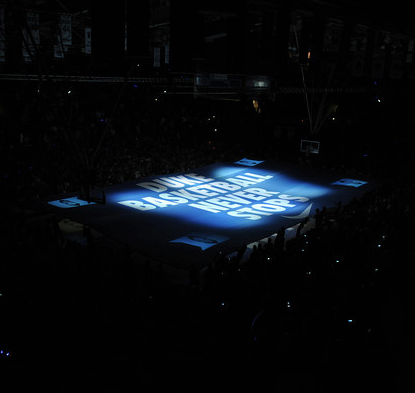 Alright, so Duke’s 2010-2011 campaign is now finished. The end of the season is always tough, but here’s your silver lining; Deviled Eggs are back! It does stink to have to start these a few weeks early, but what’s done is done. I’m sure most of you spent the rest of the weekend trying to avoid the productivity black hole that is college basketball in March, so here are six of this week’s best links on the interwebs that might be of interest to you. Must read for those who want one possible explanation for Kyrie deleted his twitter. He’s back, by the way. @RealKyrieIrving. Tweet a lot of things about you know. Coming back. 3. 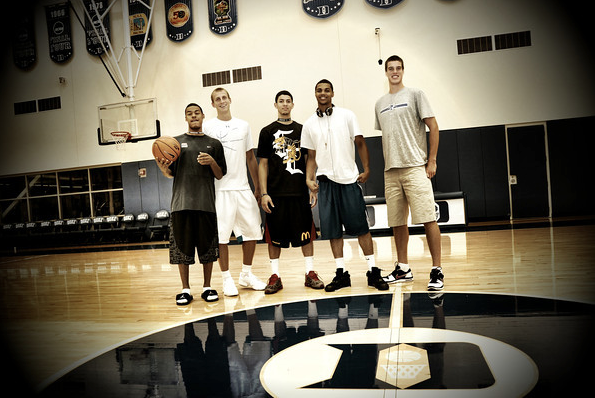 DeAndre Daniels: MORE 2011 recruits??? If you want to read a LOT about this potential power forward recruit (who’s rated 9th in the country at that position), go to The Devil’s Den message boards. More than enough wacky theories and “insiders,” right JohnTDD? So says Cincinnati.com…maybe? I think he’s more accomplished than Wall, but there’s a guy named Jamal Mashburn who might have something to say about that title. Or not? Neither Rex Chapman nor Sam Bowie nor Jamal Mashburn nor Chris Mills nor Kenny Walker nor Ed Davender nor Ron Mercer nor Rajon Rondo nor Keith Bogans nor Patterson nor anyone else you can think (even Alex Groza) had the statistical or even intangible impact Knight has had. Ugh. I don’t even follow Kentucky and I can tell that’s a stupid article written by some whiskey drunk Western Ky. grad who always wanted Big Blue…but never quite made it. Sad life. Ah, that’s more like it! Useful articles by people who cover the Triangle instead of the “Commonwealth of Kentucky.” Man, all the Ph.D’s around here must wear off on everyone. 6. Follow @DaggumRoy, @NotCoachK, @NotBradStevens and more on Twitter! It started with @DaggumRoy. Then @FakeJayBilas. Then…in a stroke of genius, somebody made @NotCoachK. Follow them all on Twitter via @crazietalker‘s list. 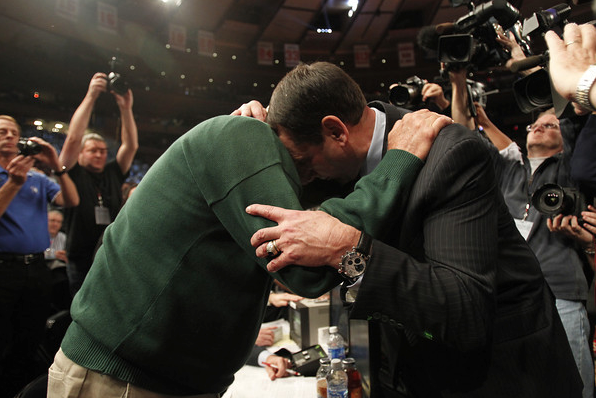 Almost NCAA #winning-est Duke coach. Dammit, Derrick Williams. From mean street Chicago. Don’t mess with me–I’ll buy your hometown and turn it into a charity. The offseason is going to be fun. 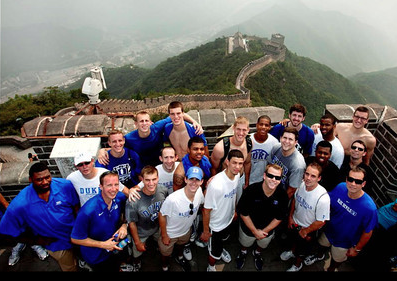 Go Duke. Thank you seniors. We’re going to miss you, but you all have accomplished so much and there’s much left to do going forward. 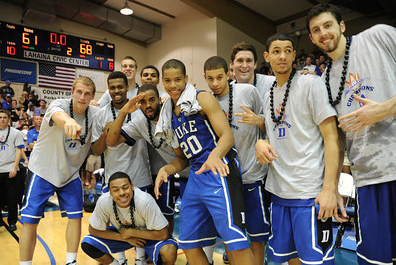 You’ll have a Duke diploma–you’re set. Good luck. 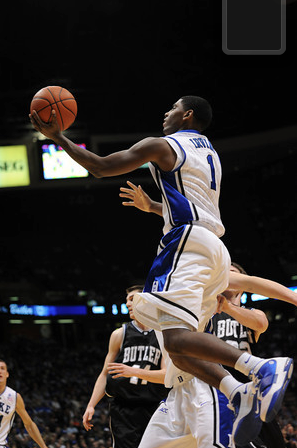 And hopefully you’ll all be pulling for Butler this weekend…you totally screwed them over last year.